Motorola is gearing up to launch a lot of new devices in the Z, X, E and the G series as revealed via the leaked presentation image. As you have read the title, we will be talking about one of the upcoming phones of the G series, the Moto G5S Plus. It is a new kind of naming style that the company is going to use and it seems Motorola became impressed by the naming of iPhones as 6, 6s, 6s Plus, etc. Anyways, we already know what’s new in the G5S, and G5S Plus via the leaked press renders. The new phones will feature an all metal body, unlike the G5 and G5 Plus that have aluminum back plate surrounded by plastic. 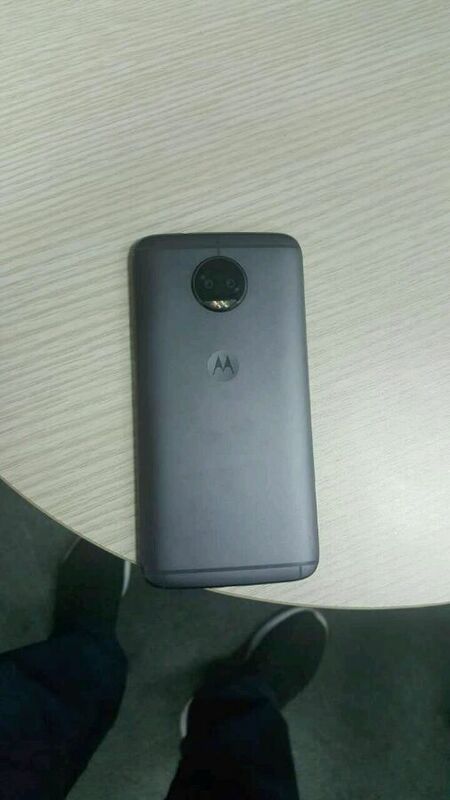 Today, we got a couple of real life shots of the upcoming Moto G5S Plus. As the images above reveal, the phone runs on Android 7.1.1 Nougat out of the box and is having two months old March Security Patch. 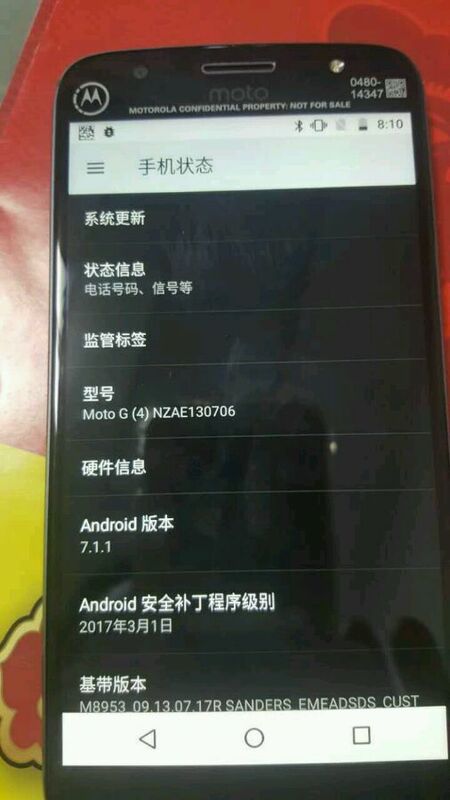 The Model number in Settings is written as Moto G (4) NZAE130706. The second image shows the back of the smartphone, and we can see that full metal back with the dual camera setup, just as the renders revealed. Below that is the traditional Motorola dimple that we missed on the Moto Z as well as on the Moto G5 and G5 Plus. Previous leaks have confirmed that the phone runs on an Octa-core processor that could be the latest Snapdragon 660 and has 4GB of RAM. There is a 5.5-inch Full-HD display which is slightly bigger than the 5.2-inch display of the Moto G5 Plus. No just on the rear, but there is LED flash on the front also. So, what should be the price of the Moto G5s and Moto G5S Plus when they’re launched? Do let us know your opinions in the comments section down below. 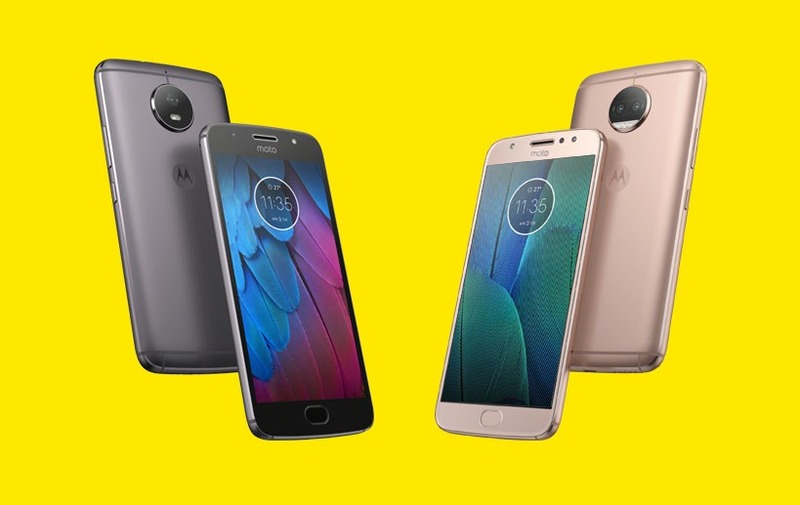 Moto G5S Plus vs Xiaomi MiA1 vs Lenovo K8 Note – Which one should you buy?